Many activities in daily life require muscular endurance, which is the ability of your muscles to repeatedly contract against resistance for an extended period of time. Most sports require it, too, along with muscular strength. Endurance events such as long-distance running and cycling are notable, but other sports such as rowing and rock climbing also require muscular endurance. Improving your muscular endurance will help you fatigue less quickly so you can go the distance. Whether you go out for a 30-minute jog or you run a marathon, running requires muscular endurance. With each step, your large lower body muscles including your hamstrings, quadriceps and glutes must contract against the forces of gravity and your own body weight. If you run up hills, your muscles must withstand even more force. The farther you run and the more hilly the terrain, the more muscular endurance is required. 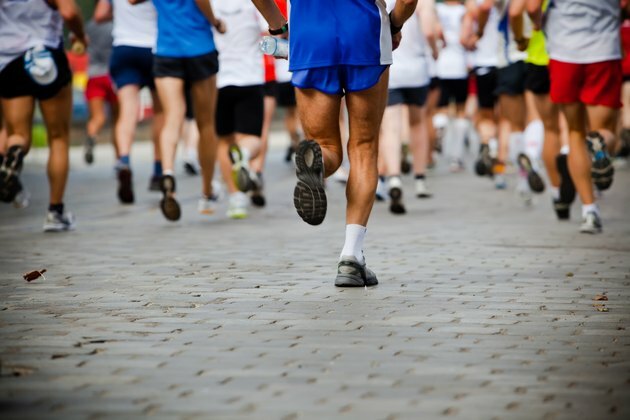 You can build muscular endurance for running by gradually running longer distances. This will strengthen your heart and lungs which provide the oxygen your muscles need to repeatedly contract, as well as strengthen your muscles. 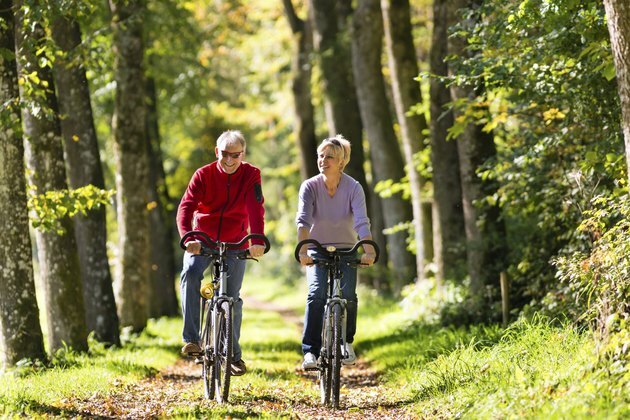 Cycling, especially over long distances, requires long-term energy and strength of the legs and buttocks, as well as the cardiovascular and respiratory systems. Cyclists who build up their milage and vary their workouts between hills and flat terrain gradually increase their muscular endurance, and they increase the capability of their heart and lungs to provide vital oxygen to those muscles with minimal fatigue. Vary your cycling distances and pacing to build endurance. Alternate between long cycling adventures and short ones to allow your body to recover between rides. This helps you not only build endurance, but prevents injury. Field hockey requires strength and endurance in multiple muscle groups in your upper and lower body. 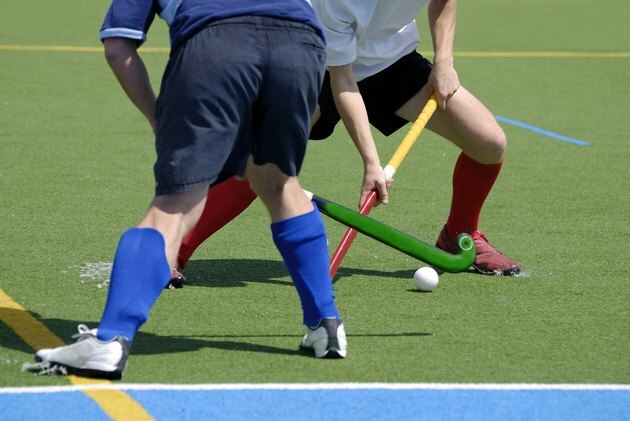 If you play field hockey, you're expected to run, hit, swing and change directions quickly. This is not the type of muscular endurance necessary for running, in which your muscles must perform the same movement over and over again; rather, you need to be able to run, hit and swing for the length of a scrimmage or a 15-minute quarter. In training, you can build endurance by doing practice drills that require longer and longer periods of intense activity. You can also perform lower weight, higher rep strength training, and do interval training to improve both muscular endurance and power. The standard world championship race distance in rowing is 2,000 meters. It's long enough that rowers require considerable muscular endurance in their arms and legs. 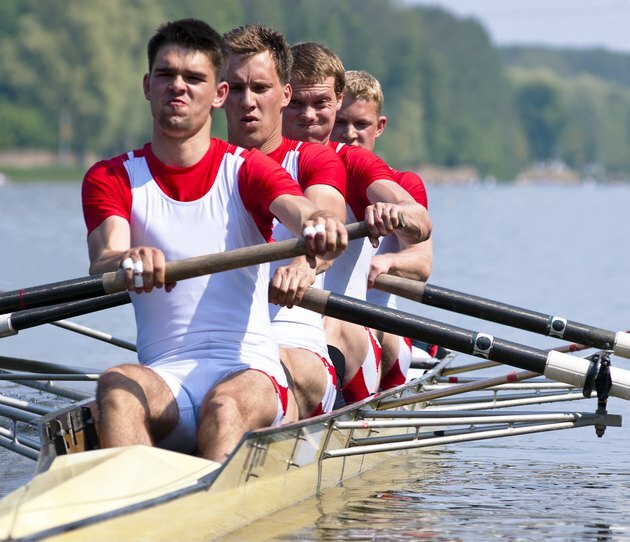 Drives -- the action involved when pulling the oar towards you -- require repeated bouts of muscular power, and cardiovascular and respiratory endurance to supply the oxygen necessary for generating that power. To build your endurance and power, do a mix of long slow endurance training, pace and tempo training and interval training. The list of sports that require muscular endurance is exhaustive. You can distinguish sports that require endurance from those that don't simply by the amount of time muscular contraction is taking place. A golf swing, a single Olympic lift and a 40-meter sprint require strength and power, but little muscular endurance. Other sports that do require muscular endurance include football, swimming, wrestling, rock climbing, boxing, martial arts, figure skating, surfing, skiing and basketball. Why is Muscular Endurance Important in Sports? What Sport Uses Muscular Strength & Endurance of the Chest?